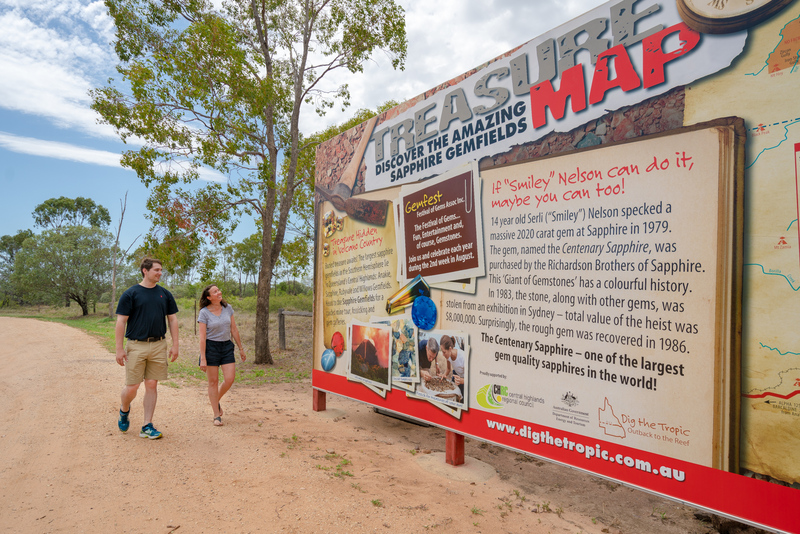 The new Sapphire Gemfields Treasure Trail brochure is set to make it easier and more enjoyable to explore one of the Central Highlands' premiere destinations. Launched ahead of the 2019 tourism season, this 8-panel, full-colour fold-out uses detailed maps to provide a comprehensive guide to the area, including the Sapphire Gemfields Wetland Reserve. Copies are $1.00 each and can be purchased from local businesses and Visitor Information Centres. Download full Media Release to the right.